There are thousands of different futures trading systems which operate on everything from Crude Oil to stock market futures like the e-Mini S&P, with as many different methods for analyzing those markets as there are combinations of the hundreds of technical indicators in the world — making it somewhat difficult to categorize trading systems. The easiest way we have found to categorize trading systems is by their hold period, or time frame they analyze and trade upon. A day trading system is defined by a single characteristic: that it will NOT hold a position overnight, with all positions covered by the end of the trading day. This appeals to many investors who don’t like the prospect of something happening in China causing the US market to open down -5% against their open position. It also means there is no margin needed for holding positions, which equates to lower minimum investment amounts. 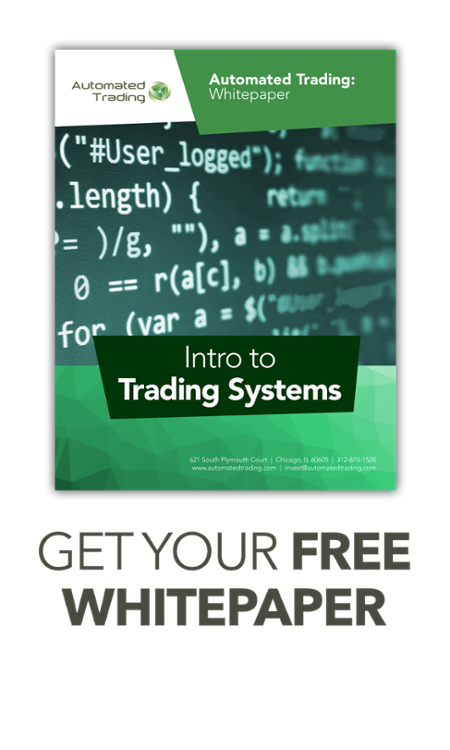 Day trading systems usually focus on a single market, and that market is usually one of the high volume, high liquidity markets such as emini S&P futures, 30yr Bond futures, and Euro Stoxx. They are often thought of as the high frequency trading outlined above, but in reality are no more active than most other trading — with about 12-18 trades per month. Generally speaking, day trading systems identify a short term trend during the trading day, get in line with that trend, and look for the market to close at or near the high/low in that direction in order to be profitable. Range bound markets usually result in no trades for day traders, while whipsaw markets which see prices up 0.5%, back down -0.5%, and finishing the day around even (for example) usually cause losses.